A bus rental business is one of the many money-making endeavors that are easy to put up, especially if you already have the knowledge and the sufficient capital. It is very lucrative, too, since your customers may come from different fields, including schools, hospitals, offices, sport clubs and of late tourists from USA and Europe. When setting up your own bus rental company, all you need is to get a space, hire drivers, and of course, acquire a couple of high-quality coaches or buses that are ready to serve. I know a particular model that I think can be a good fit to your start up biz. It’s the 1997 version of the Nissan Civilian. The Nissan Civilian is a single-decker minibus built by Nissan since 1959. It is primarily available as a public bus and an intercity bus. In Japan, it was exclusive to Nissan Store locations, and replaced the Nissan Echo. In case you opt to buy 1997 Nissan Civilian Bus from the a car bond in and around Kampala, then things could be a little bit more simpler for you because you will not have to face all the lengthy processes and journeys to the port of Mombasa to bring own the bus. Here most of the work has already been done for you. Most taxes have been cleared. All you have to do is simply pay for the car from the car bond and drive home. However, you can also find that some cars have only cleared the CIF fees only. So it would mean that if you want a Nissan Civilian Bus then you will have to clear the rest of the taxes. 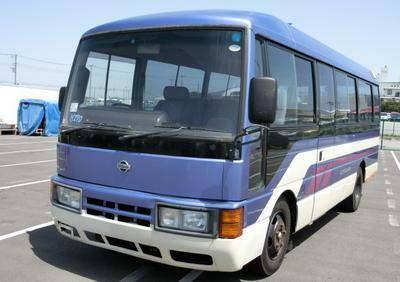 You can find the Cost, Insurance and Freight of a premium Nissan Civilian Bus (that is from Japan to Kampala) to be around $ 8,051 or even above. However, the total sum of the CIF can change due to year of manufacture, condition of the car, mileage and the dealer. Importing a foreign used Nissan Civilian Bus from Japan is different from buying from car from the car bond here in Kampala. You can prefer to import your own mini-bus directly from Japan. This means all the costs are going to be met by you the owner of the car right from say Japan to Mombasa up to Uganda. Here, you will need to determine the cost of the bus while still in Japan from which the Cost, Insurance and Freight (CIF) are calculated. 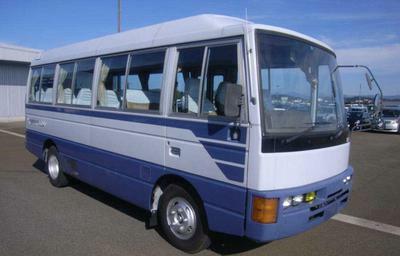 For example a 1997 Nissan Civilian Bus costing $ 4,814 will make a total CIF of $ 8,051 to be brought up Kampala, Uganda. After arriving in Kampala, then the required taxes have to be cleared. The taxes charged by the Uganda Revenue Authority include Import Duty, Value added (VAT), Withholding Tax, Environmental Levy, Infrastructure Levy, and Registration Fees. 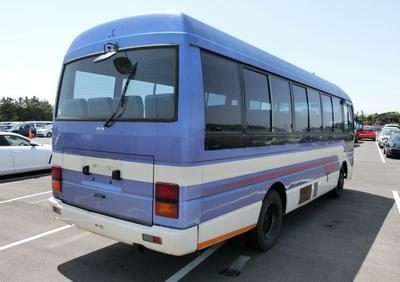 Nissan Civilian Bus spares are readily available. Should you find that the spare part you need is not available in the auto-car spare markets, then you will have to get it from abroad. However, Nissan spare parts are very common in Uganda. At least for Nissan, spares shouldn’t worry you though they could be a bit more expensive compared to rivals like the Toyota Coaster. Though pretty much an old version, the 1997 Nissan Civilian Bus still has that power and durability to get all your clients to their desired destinations. Inside it is a 5-speed manual transmission and a 6 cylinder diesel engine that promises to deliver high levels of horsepower. These two will surely help your drivers navigate highways and city streets with greater ease. The vehicle also sports a spring suspension and a power steering that contributes to its overall stability and ride comfort. One of the things that I like about this Nissan wheels is its nice interior design. It has a long body, and inside it is a high roof overhead clearance and a huge space that can accommodate up to 21 passengers. It as well equips a folding door for easy entry and exit, and large glass windows for better visibility. This makes the bus an ideal choice for educational trips and sightseeing activities. With the Nissan Civilian Bus, you can guarantee that your drivers and clients will get to experience nothing but comfort and convenience. All its seats bring a high-back design with seat belts for added protection. It also sports a digital clock, curtains, reclining sliding driver’s seat, and an AM/FM radio. Though it doesn’t have floor-mounted heaters not ceiling-mounted air vents, it arms a standard air conditioning system that is enough to keep the passengers relaxed during long and overnight trips. With regard to safety, this 21-seater vehicle features a huge windshield, headlamps, and rear and back window wipers, which help your drivers have a good vision of the road ahead. Having a powerful engine and comfortable interior, the Nissan Civilian can surely tackle the most demanding transporting duties. You can utilize it as a tour bus, an ambulance, a school bus here in Uganda. Well, stiff competitors include the Toyota Coaster which is very common by the way here in Uganda, the Mitsubishi Rosa Delux and of late the Tata mini-bus. 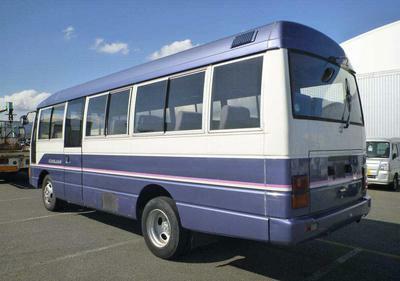 As you can see, the 1997 Nissan Civilian does not incorporate innovative capabilities unlike other coaches available on the Uganda market today. It somehow lacks in excellent safety features, which I know you will need, especially if you’re thinking of utilizing it as a tour bus or a school bus. The driver’s station isn’t that ergonomic, too. And its exterior is a bit old-looking for some. But, regardless of these, I still see the Civilian as an ideal inclusion to your start-up business. Its strong engine and smooth transmission, matched with its comfortable passengers’ area, make it a reliable coach that can take your clients to their destinations safely and on time.